A function is harmonic on a domain if it satisfies the Laplace equation in the interior of . 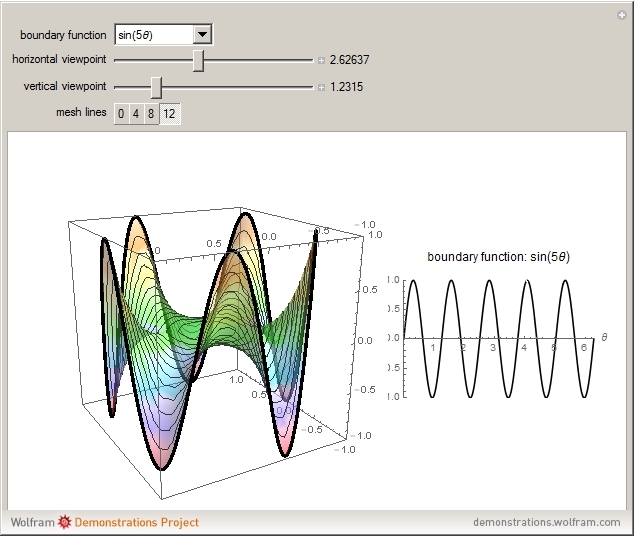 A remarkable property of harmonic functions is that they are uniquely defined by their values on the boundary of . Geometrically, this means that, given any smooth 3D curve defined on the boundary of , there exists a unique harmonic surface (i.e. a surface where is harmonic) whose boundary is the given curve. 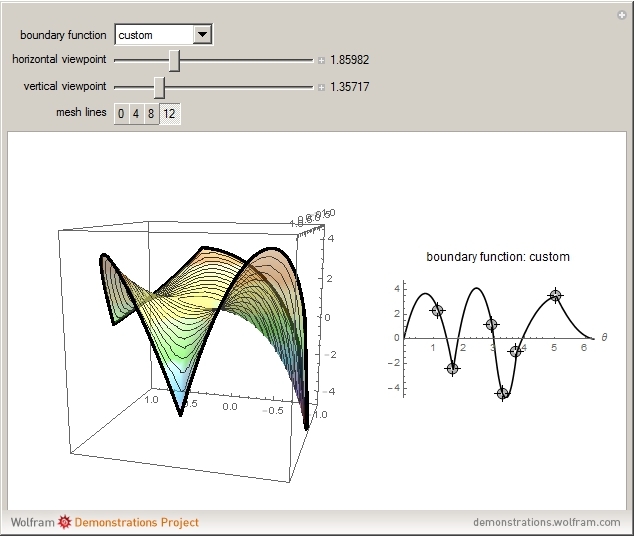 This Demonstration illustrates this property for the case when the domain is a disk: pick a boundary curve from the drop-down menu or create your own boundary curve by specifying interpolation points, then watch this curve as it is filled in by the unique harmonic surface that matches the given boundary conditions. Notice that this surface is peakless; that is, there are no local extrema in the interior of . This is a general property of surfaces determined by harmonic functions. Using polar coordinates, a closed curve defined on the boundary of the unit disk can be constructed using a function that is periodic in . Therefore, specifying a boundary curve is equivalent to specifying such a periodic function . For the custom boundary function, a periodic Hermite interpolation of order 2 is used to match the given points (together with the points and ) to a piecewise polynomial function with period . The values of in the interior of are computed by numerically solving the Laplace equation with the specified boundary condition. 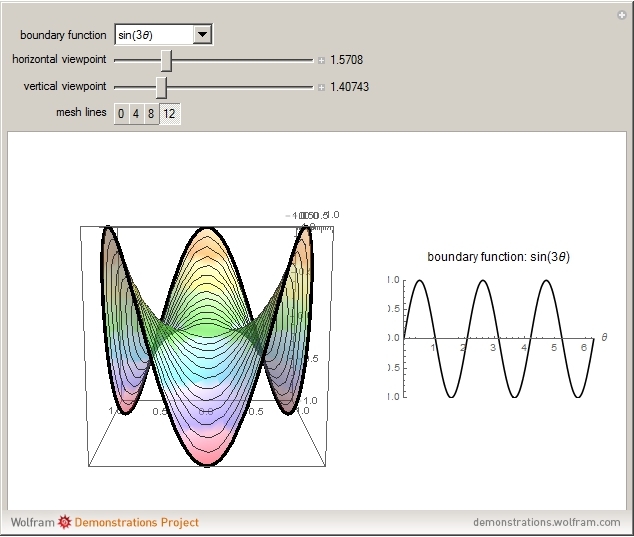 "Examples of 2D Harmonic Functions"